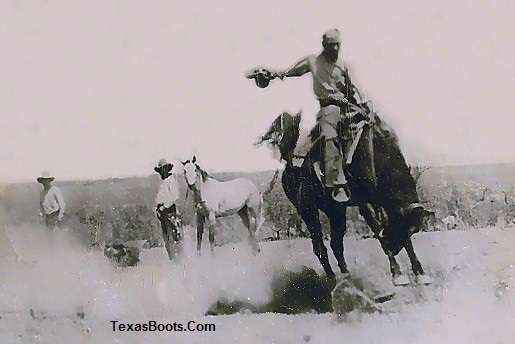 I love these old cowboy pictures I scanned from one of our picture boxes. They capture life around the ranch and on the range. 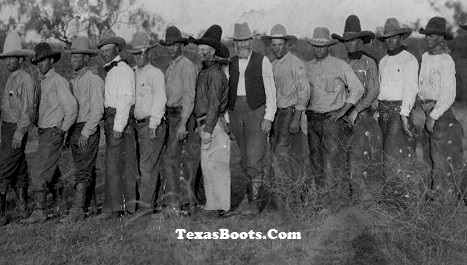 Cowboys posing with the ranch owner. You certainly see the individual and functional styles of these cowpokes. 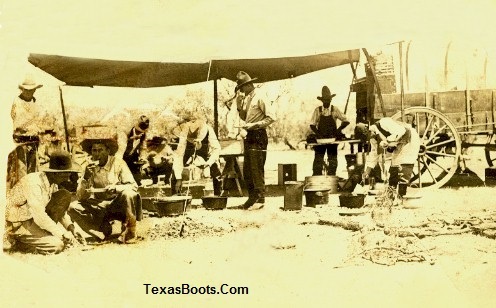 This is a great one as well out on the range at the chuck wagon. I love this action shot as well.